"Despite their position in the table Southampton aren't considered strong favourites to drop down to the Championship and are available to back at [4.5] in the Relegation market..."
After just eight months in charge at St Mary's Mark Hughes has been sacked by Southampton with the club languishing 18th in the table. First team assistant coach Kelvin Davis has been put in charge of the team for Wednesday's game against Tottenham, suggesting an immediate replacement isn't forthcoming. 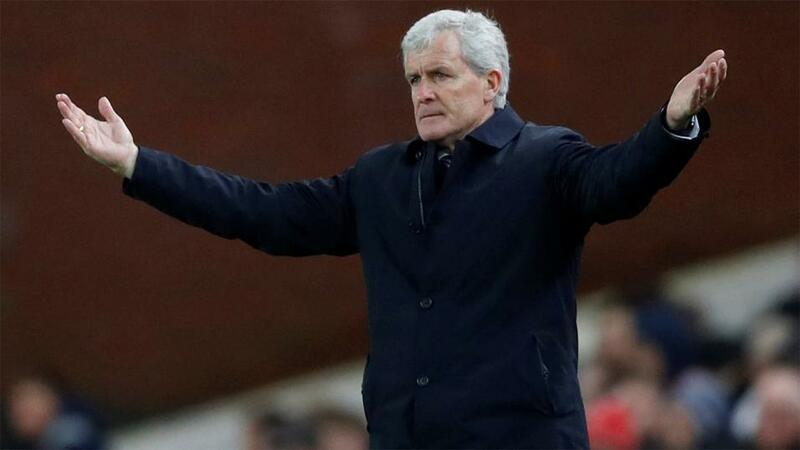 Hughes took over at St Mary's towards the end of last season having been sacked by Stoke City - who would go on to be relegated - just months earlier. Southampton were just one point above the relegation zone but the former Manchester United, Chelsea, and Barcelona striker guided the Saints to Premier League safety with a game to spare. However Southampton have made an awful start to this season, winning just one of their opening 14 league games and none on home soil, and on Saturday Hughes' men squandered a 2-0 lead against an inconsistent Manchester United team, the draw dropping the Saints into the relegation zone. Hughes leaves his job having won just three of his 22 games in charge. In a statement this morning the club said, "The search for a new manager to take the club forward is already under way." Despite their position in the table Southampton aren't considered strong favourites to drop down to the Championship and are available to back at [4.5] in the Relegation market behind Burnley [1.48], Cardiff [1.68], Huddersfield [1.72] and Fulham [1.96]. In a perhaps surprising move Quique Sanchez Flores has been backed into odds-on in the Sportsbook's Next Permanent Southampton Manager market, just ahead of former RB Leipzig boss Ralph Hasenhuttl at 5/2. Former Watford manager Flores was considered a success at Vicarage Road, guiding the club to a comfortable mid-table finish on their return to the Premier League as well as a FA Cup semi-final. Betfair Spokesperson Katie Baylis said: "With confirmation Hughes has been given the boot from Southampton, attention turns to who will take over. We've seen a flood of bets on Spaniard Quique Sanchez Flores over the weekend and his odds have gone from 14/1 before the weekend, to 2/1 yesterday with the former Watford manager now backed into odds-on favourite at 8/11 as of this morning. Ralph Hasenhuttl is the 5/2 second favourite with Paulo Sousa at 10/1, but at the moment it looks like Flores could be heading back to England."